NXP Unveils Next Generation Security Platform - The Independent Global Source for the Flexible and Printed Electronics Industry. Protects citizen identity and private information in the digital services era. 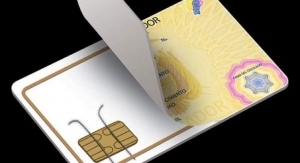 NXP Semiconductors N.V. unveiled its third generation SmartMX platform built for the digital services era to provide advanced security and privacy protection for citizen IDs, ePassports, payment and access management applications. The platform is optimized to create future-proof secure microprocessors required for secure identity and payment applications where protection of personal identifiable information (PII) and other private data are paramount. Based on NXP´s IntegralSecurity architecture 2.0, the powerful P71D320 security controller is the first solution released in the new SmartMX3 family and is Common Criteria EAL6+ certified. Disruptive information technologies, such as data management in the cloud, the Internet of Things (IoT), sensors and mobile devices have opened up many advantages and opportunities for new services. But the side effects of identity theft, fraud and privacy concerns are at an all-time high. Companies and governments around the world are rethinking how to employ secure electronic credentials that protect PII such as name, date of birth and address, as well as financial, medical and other private information.